The following notes were taken from the Sansar Product Meeting held on Thursday, January 17th. The meeting was chaired by Stanley, the Director of Product for Sansar at Linden Lab and who was marking his first time leading a product meeting. Also in attendance (who I noted) were Cara, Aleks, Leslie, Nix and Stretch Linden. 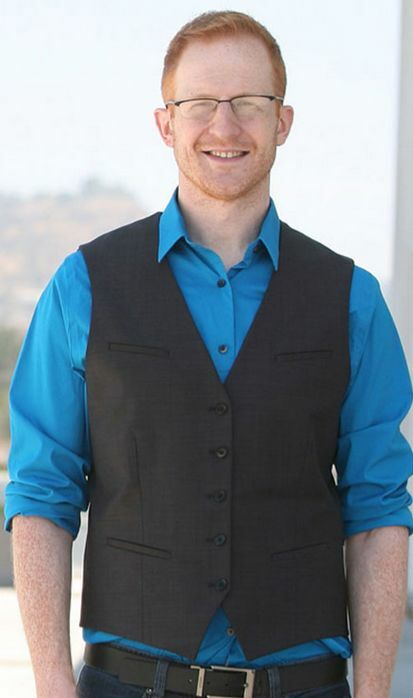 Stanley has been with the Lab for some six months, and has been working closely with the Product team with a focus on improving the consumer experience, particularly the integration with Steam. On Wednesday, January 16th, 2019, Linden Lab published a Sansar blog post outlining Sansar Dollar to US dollar conversions. The post follow-on from changes announced in December related to Sansar becoming available on Steam – specifically the closure of the SandeX, which has been replaced by a flat-rate exchange rate for S$<>USD transactions. Sansar dollars can be converted to USD at the rate of S$250 to $1.00. However, anyone who created their Sansar account before December 31, 2018, can exchange at the legacy rate of S$143 to $1.00 through until December 31, 2019, after which the conversion rate for all accounts will be S$250 to $1.00. The Process Credit page has been re-enabled for moving USD to PayPal accounts. However, to allow for processing of funds that may come via Steam, processing may take up to 30 days to complete a request. However, there is more – and it has been somewhat negatively received. Only “Earned Dollars” can be cashed out. That is, only S$ obtained via the sale of goods / services. 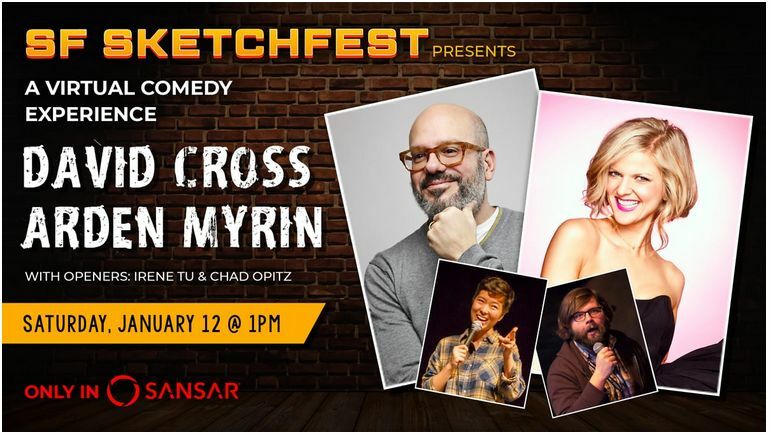 S$ that are purchased or received as a gift / tip cannot later be cashed out (although all S$ held before the January 16th blog post have been converted to Earned Dollar Status). It has been calculated that, even allowing for easements elsewhere in the system, creators are losing some 60% of potential income when cashing out. This latter point was of particular concern at the Product Meeting, but the Lab’s hand is forced on the matter due to Sansar now also being provisioned through Steam, there is also concern as to whether the S$ > USD exchange rate might undergo further adjustments other than that planned for the end of 2019. There are currently no plans to introduce adjustments to the cash-out exchange rate beyond those indicated in the blog post, which amount to anyone cashing-out paying around 60% in commissions. To help offset this, the Lab no longer takes a commission on any store-based transactions between users; they only take a commission on the cashing-out of S$. Even so, and not unreasonably, creators feel that the shifting of fee payments to the cashing-out process means they are effectively subsidising the Steam integration, particularly given that – by the Lab’s own admission – the majority of users in Sansar are still coming directly into the platform, rather than via Steam, yet Steam still take a cut of the cash-out transactions. The Lab acknowledge this is currently one-sided, but given they have no means at this point in time to accurately judge how much of an impact Steam will have on Sansar’s usage, they have erred on the side of caution. But whether in time the commission percentages could be adjusted, very much depends on how traffic flow through Steam develops over time, with changes to the cash-out process liable to be considered very carefully before being implemented. It was asked whether Sansar could be provisioned through Steam “without the money part” in order to simplify matters. The problem seen with this approach is it would exclude Steam users from any economic engagement in the platform (as their transactions must come via the Steam wallet), reducing their interest in using the platform (no ability to buy avatar accessories, good, etc.). Linden Lab see Steam as the “industry standard” for accessing games and for using VR with games. As such, they are unlikely to move away from the current partnership. 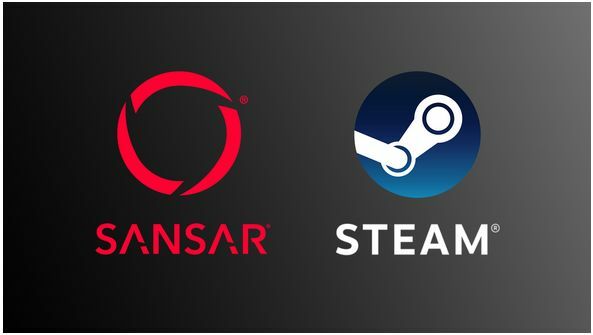 However, if over time the relationship with Steam does not prove beneficial to Sansar in terms of growth, use, economy, etc., the platform is not in any way locked-in to Steam on a permanent basis, and so a future separation is not impossible. The Oculus store has also been looked at as a potential channel for Sansar, and talks have been held. However, because of the relationship between Oculus and Facebook, this had proven a lot harder, but is still being worked on. There still seems to be a perception that users coming to Sansar via Steam have a different new user experience to those coming via Sansar.com. Aside for the sign-up process, this is incorrect. Sansar as provided through Steam is no different to Sansar accessed via the website / direct client download: all users go through the same on-boarding experience with their Home Space and the client tutorial, and the new Social Hub. There are internal discussions at the Lab on further enhancements to the new user experience, such as adding some form of achievements / cosmetic awards system or similar, in order to encourage engagement (particularly among Steam users). One of the issues Sansar faces (like Second Life) is how it should be pitched, simply because the potential use-cases are so vast and different. Creators, for example, have different reasons to try the platform to consumers; even gamers with an interest in modding view things differently to those purely interested in game play. Thus, the Lab is still juggling with approaches. In terms of Steam, one of the most basic areas in determining how the appeal of the platform could be improved is via the constructive feedback offered through reviews, given that when provided, these most frequently involve comments on the “non-standard” approach to how control options are laid out on the hand controllers. In keeping with previous Product Meeting summaries in these pages, the Sansar Team is working on various game-style Sansar templates (e.g. shooting games). It is hoped that when these become available, they will encourage creators / users to utilise them within their own experiences, further helping to drive engagement in Sansar. These templates have also seen the Lab considering issues such as scoring mechanisms, persistence of scores / progress between sessions, etc. The upcoming R29 release (the first for 2019) includes some further VR updates related to a user’s “connection” to their avatar. One of these will be for the avatar to be more in sync with a users body movements, rather than lagging behind, as can be the case at the moment. Another is to provide better control of arm movements (although this wasn’t clear to me, I assume this is related to keeping the arms more naturally in line with the avatar’s body when moving the hand controllers around). R29 should also see the removal of the height calibration menu and storing a person’s height when using VR. There will still be options for setting it, if required (such as when a headset is being used by two different people); but where the headset is only used by the one individual, it shouldn’t be necessary to re-calibrate between sessions. 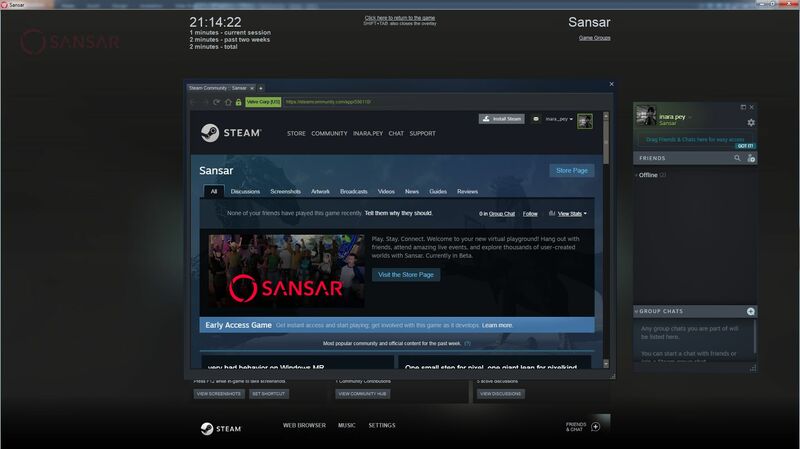 As anticipated following last week’s community feedback hour / product meeting, Sanar has officially launched on Steam – although at the time of writing, there has been no official press release on the Lab’s corporate site. Instead, the announcement came via a Sansar blog post, and a tweet via the official Sansar Twitter account. 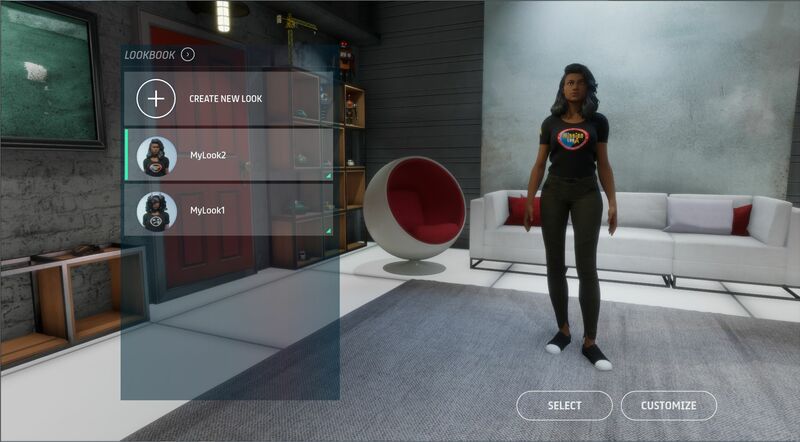 As the blog post notes, Sansar is being made available on Steam’s early access programme – a move the Lab hopes will help Steam users’ expectations regarding the platform and the fact it is still in development. 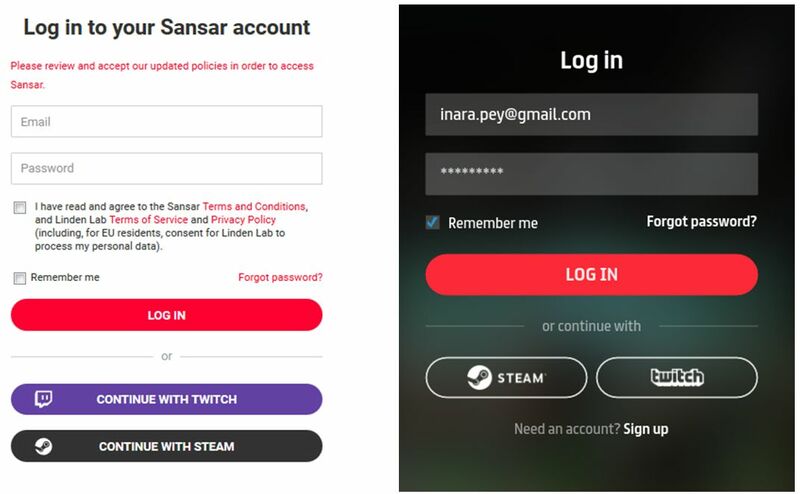 Existing users can still access Sansar directly from their downloaded version of the client, and use all the capabilities with it, including creating new accounts; they do not have to use Steam to log-in. Or if they are logged into Steam and opt to launch Sansar via Steam, they will be prompted to log-in to Sansar with the account of their choice (Sansar, Steam or Twitch). There will be no direct merging of Sansar and Steam accounts (“at this time”). User with an existing Sansar account can continue purchasing Sansar Dollars using the payment information they have on file with Linden Lab. However, users signing-up for Sansar via Steam must use their Steam Wallet to purchase Sansar Dollars. It will be interesting to see how this all goes for the Lab. Several years ago, there was an attempt to add Second Life to Steam, which didn’t go so well. However, the Lab believe they have learned some important lessons as a result of that process, and the Sansar presentation through Steam does appear to be somewhat more integrated. On Tuesday, October, 30th, 2018, Linden Lab announced a significant set of changes to Sansar. In We’ve come a long way together. 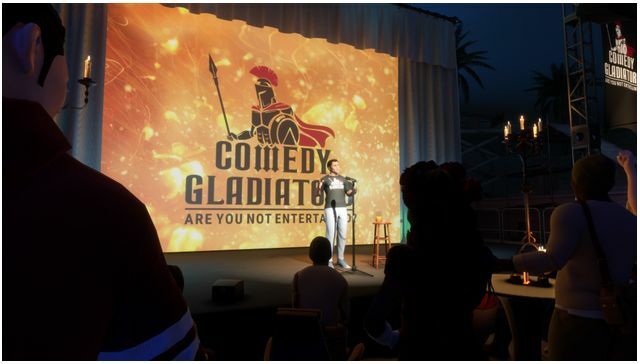 We can’t wait for what’s next, Landon McDowell, Linden Lab’s Chief Product Officer for Sansar, announced the Lab will, from around the start of 2019, be offering Sansar to users via the Steam gaming platform. These changes will also make the credit process for Creators far more consistent and predictable. The first change is that we will be discontinuing the Sandex as of December 4, 2018. After that date, we will be moving to a fixed conversion rate model. Creators will continue to be able to sell their work for Sansar Dollars on the Store (and soon in experiences!). Eligible creators may convert some or all of their earned Sansar Dollar balance to US dollars at a rate of S$250 to $1, and then request a USD credit to be processed in 30 days. This matches Steam’s payment timeline. We understand that this may have an impact on the amount of revenue returned to creators compared to the Sandex. However, we believe that in the long run our creators will significantly benefit from having access to the larger Steam user base. In addition, anyone who has created their Sansar account before December 31, 2018 will receive a legacy conversion rate of S$143 to $1 until December 31, 2019, after which the conversion rate for all accounts will be S$250 to $1. Our automated Sansar Dollar Conversion page will not be available until January 2019. In the interim, we are committed to working with our Creators to manually process credit requests of Sansar Dollars through an email process, the details of which will soon follow. These are significant changes which bring with them significant questions. While attempts have been made to address some of these through the Sansar Discord channel, Landon has indicated the next product meet-up, scheduled (at the time of writing) for Thursday, November 1st, 2018 at 11:00 PST (not Friday, November 2nd, as quoted in the blog post) will be used as an opportunity to address and discuss questions and concerns directly. 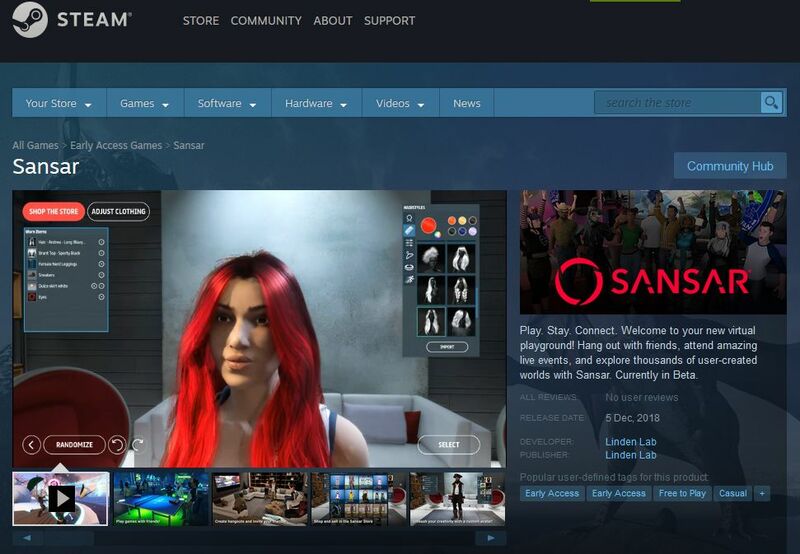 Sansar is expanding to Steam – something LL tried with SL in 2012. Times have changed on since then, so will Sansar do better? All told, this is an interesting move, one the Lab sees as in keeping with the aim – stated at the start of 2018 – that they wanted to start growing their consumer user base (as opposed to designer / creator users). While some have chosen to question it on the basis of Steam’s VR-capable user base (which would appear to be just 0.72% of Steam’s 90 million monthly active users), it’s important to remember that Sansar has a Desktop mode and – as Landon alludes to in his blog post – Steam users are liable to have the kind of hardware required to comfortably run Sansar. Of course, whether or not Sansar really is ready for a consumer focused prime-time is highly debatable. It could rightly be argued that there is a lot of functionality that might be seen as essential to generating widespread user appeal that is still missing from the platform. It’s a view I’d actually agree with; but it is worth pointing out that Sansar has come a long way in the last 18 months, and some of the more recent updates, together with those planned for between now and the end of the year, stand to significantly improve Sansar’s usability even further.